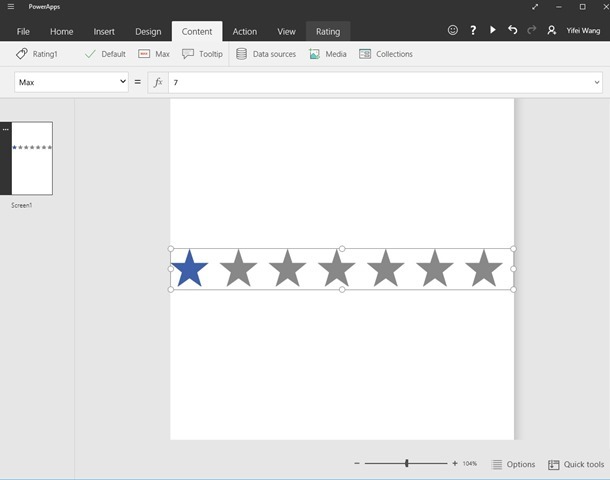 We released the latest update to PowerApps on 5/31/16. This update contains a number of features as well as fixes that address feedback we've received from users. Below is list of what's new. 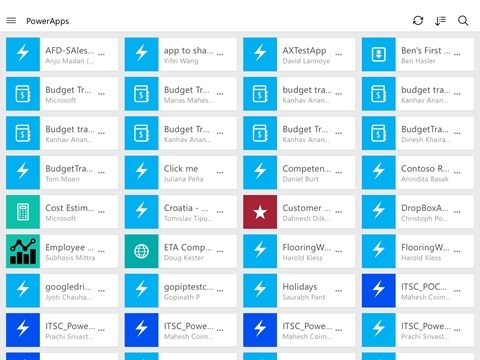 If you are using PowerApps already, we hope you'll find these updates useful. If you are not, you can sign up for free at https://powerapps.microsoft.com. This update requires users to upgrade to the latest client bits (2.0.430) to take advantage of the latest performance improvements. Your existing apps will continue to work after the upgrade. 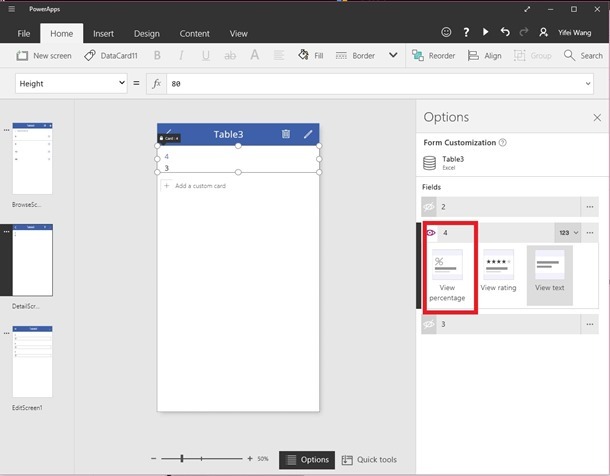 With this update, PowerApps users are automatically signed in to connections for Microsoft services like SharePoint, Office 365, One Drive for Business. 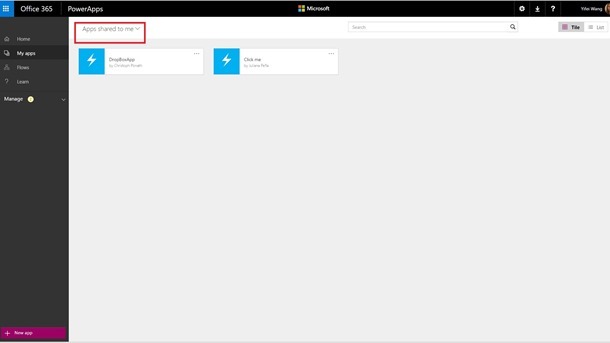 You no longer need to type your login multiple times – your PowerApps login is used to establishing the connection. 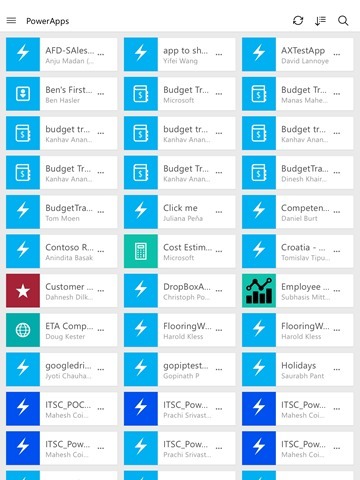 Data cards represent fields in a table connected to PowerApps. After connecting a form to a data table, you'll find options for changing the control on each data card as highlighted in the red box in the picture, including the option to choose a percentage bar. You can find max and min functions in the drop-down function list also as highlighted. A percentage is calculated based on the max and min you input. For example, the data card imported below has a value of 3. Add a percentage bar, set the min to be 0, and max to be 3. This data card shows up as 100%. When you create an app that uses the rating control, you can now customize the control to set the number of stars by changing the max value of your star rating. This feature provides the ability to use 3-star, 5-star or even 7-star ratings. 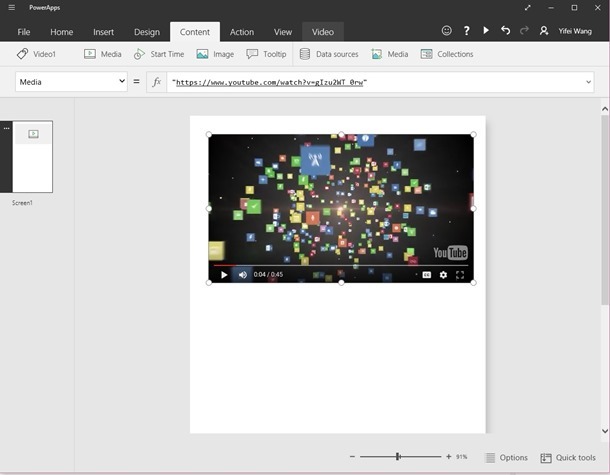 A video control bug has been fixed, and now you can play videos in PowerApps. Choose Insert Video from Media and add the video link in double quote in the function input. This update improves the app list view on your iOS and Android tablet devices. Switching between portrait and landscape orientation, the apps fit the orientation better. Now it's easier to quickly find the app you need. Filter your app list by ownership: Apps I own, Apps Shared with Me, Apps Shared to Org. 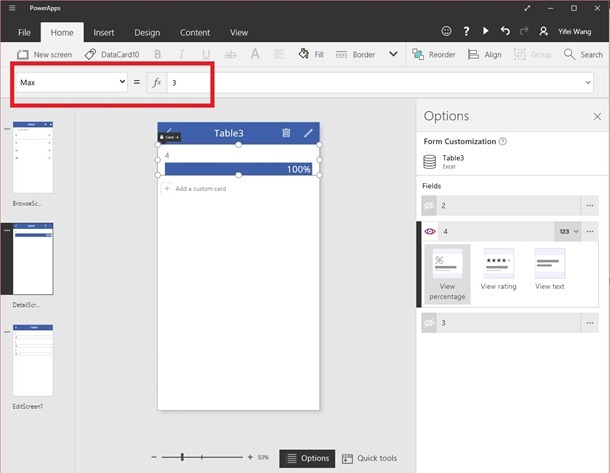 From the My apps page on web.powerapps.com, click All apps in the top left corner to view a drop down with the filters. Here are example screens of “All apps” and “Apps shared to me”. We've also added the ability to toggle your app list between a tile view and a list view. The tile view shows the icon and author of the app, and it provides a straight-forward access to your app list. 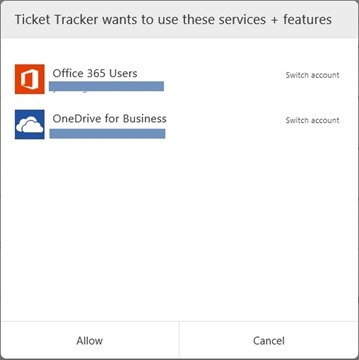 The list view presents information including permissions, modified date and other options. 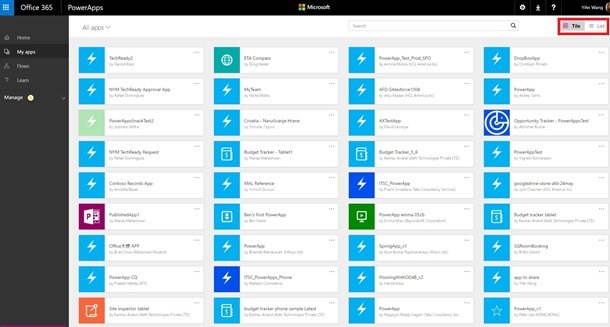 You can sort by these columns to quickly get to your most recently-modified apps or find apps created by a specific user. On top right of the page, you can easily find the toggle buttons to switch between two views. Camera auto-focus on Android is no longer a pre-requisite to install and run PowerApps from Google Play Store. Due to the requirement of auto-focus capability, some Android devices could not download PowerApps. If you had an issue downloading PowerApps, this should be resolved now. We've fixed a bug with saving and loading data in published apps. Creators using the SaveData function to collect information from users (e.g., with a "Submit" button collecting the results of a list box or drop down), and the LoadData function to display those collections will now find these features work as expected. Showing “Something went wrong” in error cases was not very helpful. We have updated error messages across web.powerapps.com. We've improved the custom API creation experience, including validation of parameters and validation of Swagger. For large data sets, delegation now supports filtering and sorting used together and also the SortByColumns function. See the Delegation section of the Filter or Sort functions documentation for more details. More support for delegation is on the way.